COMPARE & FIND THE BEST UAE DIRHAM RATE TODAY IN CHANDIGARH! Buy AED in Chandigarh the Easy Way! 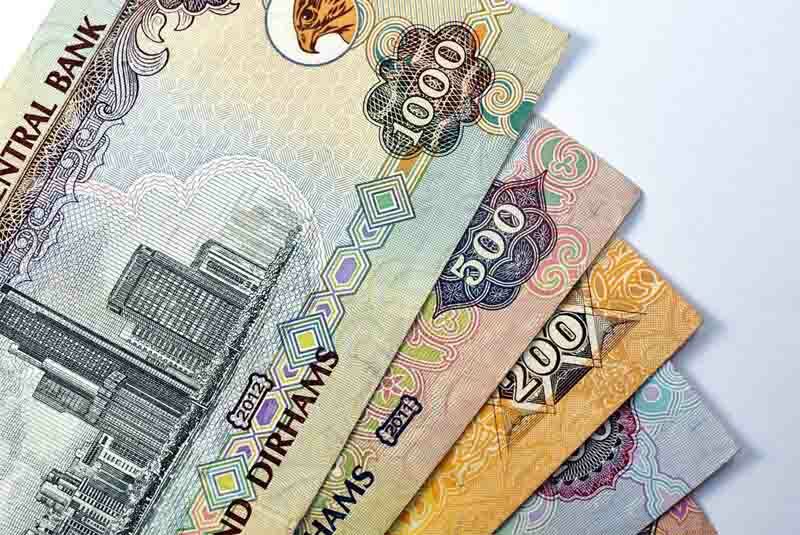 Why Buy UAE Dirham Online via ExTravelMoney? ExTravelMoney gives you the option to lock today's AED rate for 2 days by paying a small refundable deposit. You can make the the payment & complete the transaction within the 2 days at the locked rate. We know that you are in a hurry and has no time to visit the store to collect the currency. With ExTravelMoney, you can buy UAE Dirham online & get it door delivered within 48 hours! You can also submit the KYC documents online! In ExTravelMoney, all applicable charges are shown transparently and intimated to the customer beforehand. There are no hidden charges or extra fees. Pay directly to the chosen exchange house. Represented by the symbol د.إ and AED, the UAE Dirham is the official currency of the United Arab Emirates. The currency is issued by the Central Bank of UAE and has the denominations 5, 10, 20, 50, 100, 200, 500, 1000 Dirhams in banknotes and the coins issued are 1, 5, 10, 25, 50 Fils a subunit and 1 Dirhams. UAE is the most popular among the Arab nations because of the extravagant and exotic lifestyles of the residents. The most popular of the provinces in the country being Dubai, the exotic capital of the world. Many Indians choose UAE as being a land of opportunities. Many Indian expats employed in UAE is a key reason for AED inflow in our nation. The AED has an exchange rate of 17-19 INR.